Apple Maps vs. Google Maps: Which is better at helping you find your way? 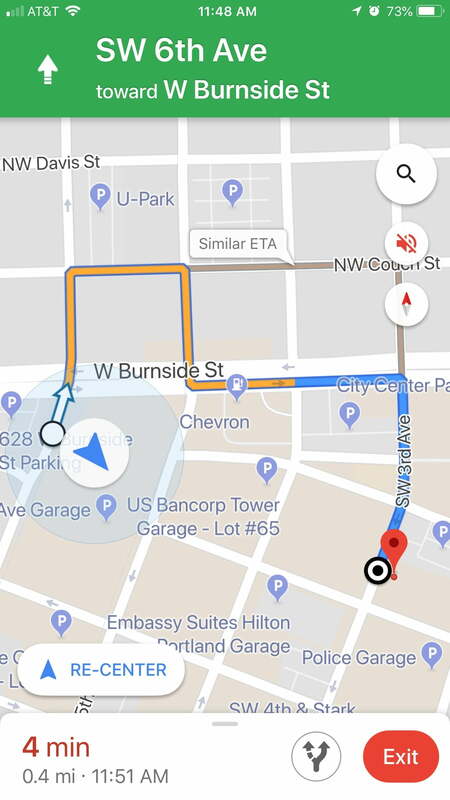 For nearly seven years, Google Maps was the de facto mapping service on iOS and macOS devices — until Apple decided to release a competing version of the software in 2012. However, what seemed like a smart move for the tech giant on paper ended up turning into a PR nightmare. Apple Maps received tons of criticism for incorrect directions, a lack of support for public transportation, and various other glitches and bugs that made the service nearly unusable. Further software development and updates addressed most of these problems, but has Apple Maps been able to bounce back from it’s failed start? Shortly after being removed as a default installation on Apple products, Google Maps became available as a free download in the App Store. For a time, Google Maps was the most popular free app on the platform. While both apps are similar in terms of function and cost, there are a few key differences that might influence which mapping service you use. We’ll lay them out for you here. Before you’ve even entered a location or begun navigating, you’ll notice a few differences in the way maps are represented. On Apple Maps, the surfaces are flatter and show more default locations. The user interface is also clean and simple. You can search for a specific location using the search bar at the bottom of the screen and change the map settings (map, satellite, or transit) by tapping the information button in the upper right. 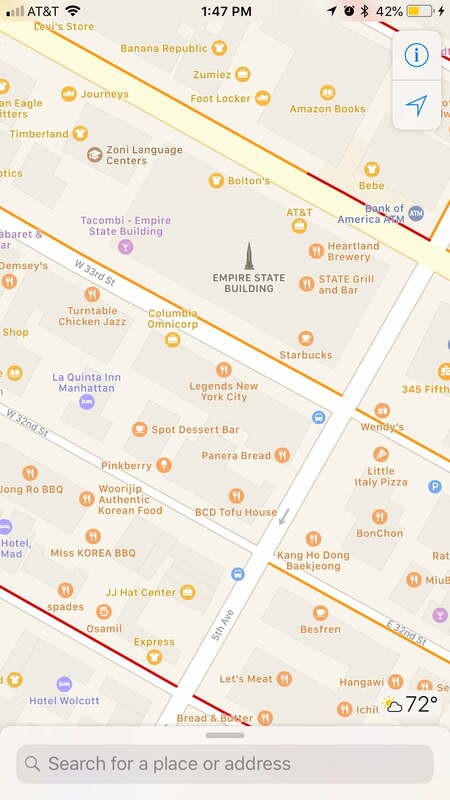 Apple also has custom icons for landmarks such as the Empire State Building, and you can see the current weather at whatever location you’re looking at in the lower right. As for Google Maps, there are fewer icons initially presented on the screen, but more options to change your map: Explore, driving, transit, satellite, terrain, traffic, and biking. Google also has 3D models of most buildings (i.e. The Empire State Building actually looks like the building and not just like a flat rectangle). Apple has these in some locations, but not as often as Google Maps. Both apps have a current location button on the screen — the arrow on Apple Maps and the bull’s-eye on Google Maps. Google also has a Google Assistant button, quick access to input an address, and settings for your Google account and map (Apple has these functions as well, but they are built into your device’s OS). When it comes to the actual navigation screen, Apple’s is once again very simple (particularly if you choose driving as your mode of transportation). There are not a lot of icons on the screen, which limits distractions if you’re using the app while driving. If you zoom in or choose the walking option, you’ll see more locations. Google has slightly more icons, but most of them are gas stations and parking lots; places you’d likely stop at if you were driving. Similarly, if you choose walking mode, you’ll see more general locations. Both base their arrival estimations on current traffic conditions. Red sections along your route indicate heavy traffic, yellow is moderate traffic, and blue is no or little traffic. You may also see various alerts, from accidents to road closures. Google is a bit clearer when it comes to how traffic will impact your commute by showing the travel time in red to indicate there is heavy traffic. Other than the differences mentioned above, this section is very similar for both versions. Google has a few more options on the main screen, such as sound, compass, and quick search, making it easier to tweak your settings on the fly. This information is available on Apple Maps as well, but you have to pull up from the bottom portion of the screen and press the corresponding category, which makes it a bit trickier. 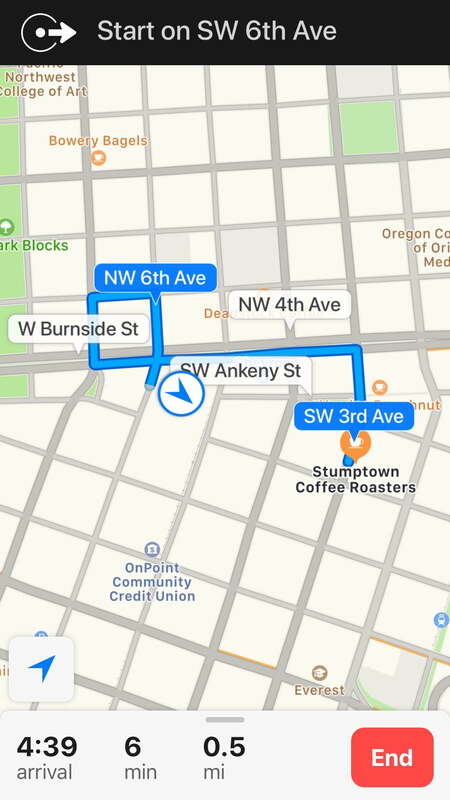 There are some standout features for Apple Maps, such as is its integration with iOS. Tell Siri where you want to go, and she’ll start the process for you. You can also open maps, cancel an in-progress route, and make other small adjustments using just your voice. Apple Maps also uses vector graphics, which means you’ll end up using slightly less data than if you were using Google Maps. One of the coolest features for Apple Maps, though, is Flyover Mode. This feature enables you to explore densely populated urban centers in 3D landscapes composed of models of buildings and structures. Flyover also has what are known as City Tours, which guide you around various landmarks in a city. There is no real equivalent in Google Maps (although Google Tour Creator comes close). As for Google, there is a lot that stands out for this service. Where Apple has Flyover mode, Google has Street View, which provides panoramic views of many streets around the world. Google also lets you customize your routes by adding stops and avoiding tolls. But two of the biggest draws for Google Maps are Google’s bicycle maps and offline accessibility. In a bike-friendly city, this is really handy, and Apple Maps simply doesn’t have that functionality. Apple Maps recently added bike-sharing stations to its list of places, but that’s not really the same, is it? Google also has primo offline planning for those with limited access to WiFi or data. While Apple Maps uses slightly less data than Google Maps, Google makes up for that by allowing you to download entire sections of maps for offline use. Another (and obvious) difference between Apple and Google’s mapping services is that one is owned by Google and the other is owned by Apple. This is worth considering when it comes to how your data is stored and when your app will be updated. Google has different policies when it comes to how much of your data is collected and what it can do with it. 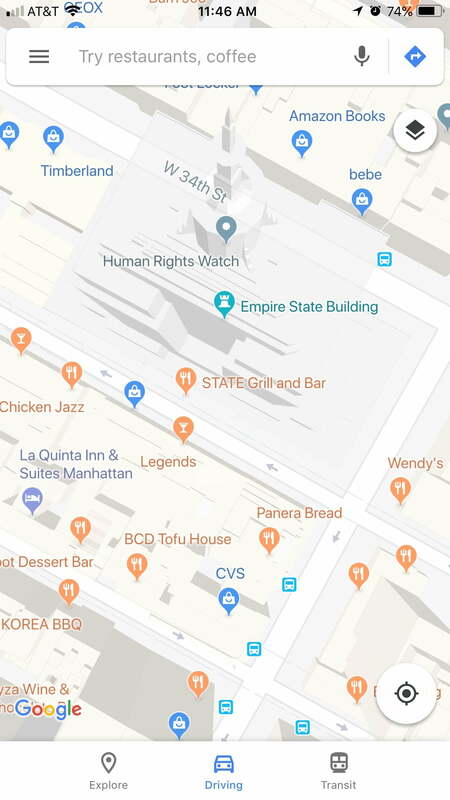 Google’s app has received criticism over the location history tracking page, and if you’re concerned about privacy, Apple Maps may be a better choice. On the other hand, Apple Maps is only updated when you update iOS, whereas Google rolls updates into Google Maps whenever it feels like it. It’s also worth noting that while both apps are currently available on Apple devices, you won’t be finding Apple Maps on your Android phone or Windows computer anytime soon, which could be problematic for users who don’t exclusively own Apple products. On the software side of things, Google tends to have better small city mapping data than Apple. This might just be because Google Maps has been around for longer, but for people who don’t live in a big city, or don’t rely on a car for their primary mode of transportation, it can make a big difference. Google also has information regarding opening times of businesses, descriptions, photos, and user-generated star ratings. Apple has this as well, but less often. Apple does also include TripAdvisor, Yelp, and other third-party app ratings. Google has released several updates in the last few months that allow you to see average wait times at restaurants, sort through reviews, and discover and navigate to new places easily. So while Apple Maps has made a lot of improvements over the last six years, and works well in major cities, Google Maps is still years ahead of the competition and definitely our top pick. Check out our Google Maps tips and tricks to get even more out of it.